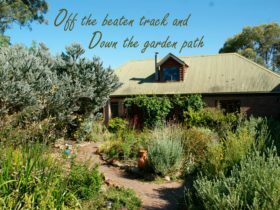 Gumleaves offers self contained cabins, camping, caravan sites and bunk house accommodation in a bushland setting on Tasmania’s East Coast. 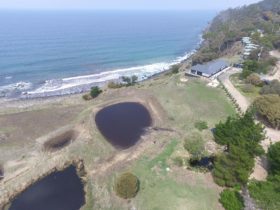 Located at Little Swanport, 110 km from Hobart and 175 km from Launceston, it boasts many relaxing and entertaining attractions for all the family. 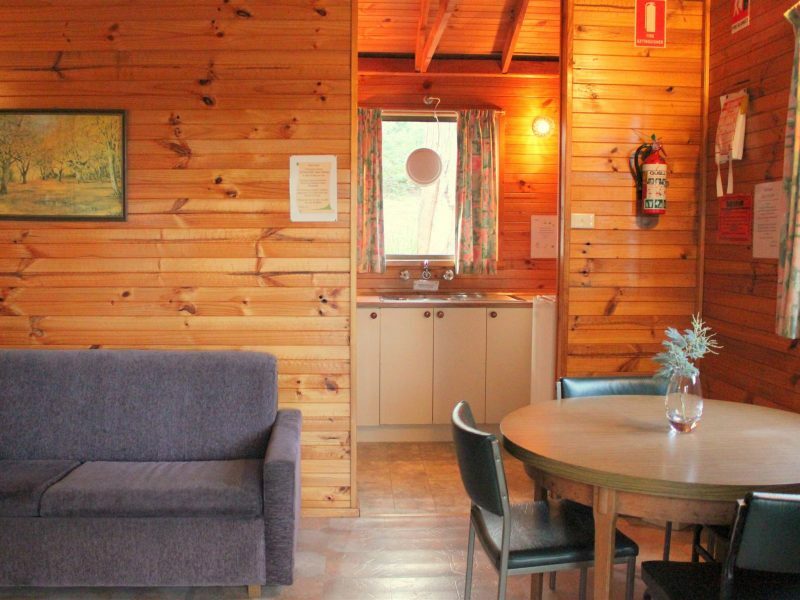 Self-contained cabins are supplied with all linen and bedding, and a wood heater for the cooler months. Evening meals are a breeze with the barbecues, and the children will have no trouble getting to sleep after days in the adventure playgrounds, on flying foxes, boating on the lake, mini golf or on the tennis court. 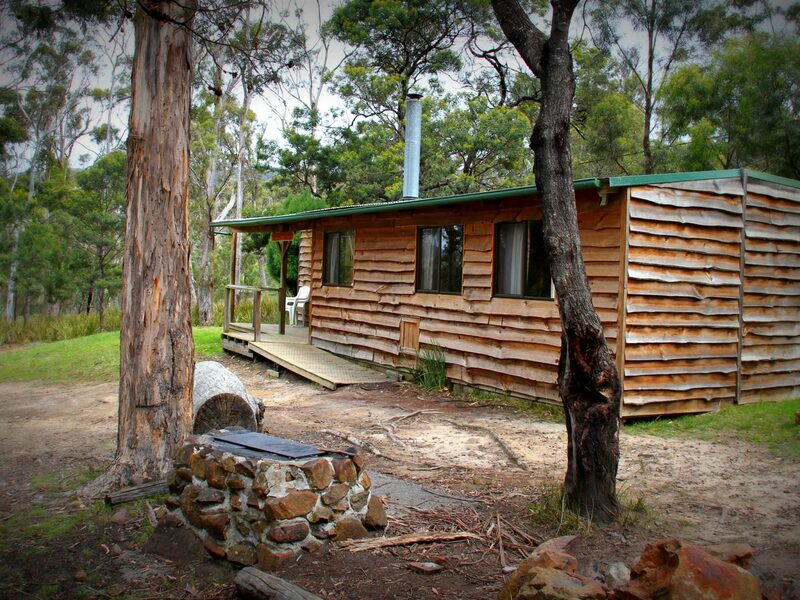 The whole family can go bush walking, wildlife and deer spotting. 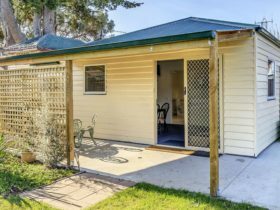 Gumleaves’ accommodation options include self-contained cabins, camping grounds, powered caravan sites and bunk houses, ideal for groups and backpackers. 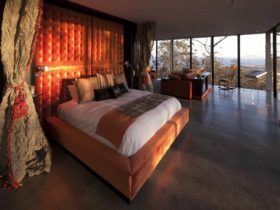 Come for the day or stay a night or two and let your energy run free in the bush. 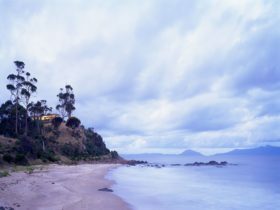 Nearby attractions include Freycinet and Maria Island National Parks, Swansea Bark Mill, Wielangta Rainforest and pristine beaches. Fully self contained 2 or 3 bedroom cabins sleeping 6 to 10 guests. 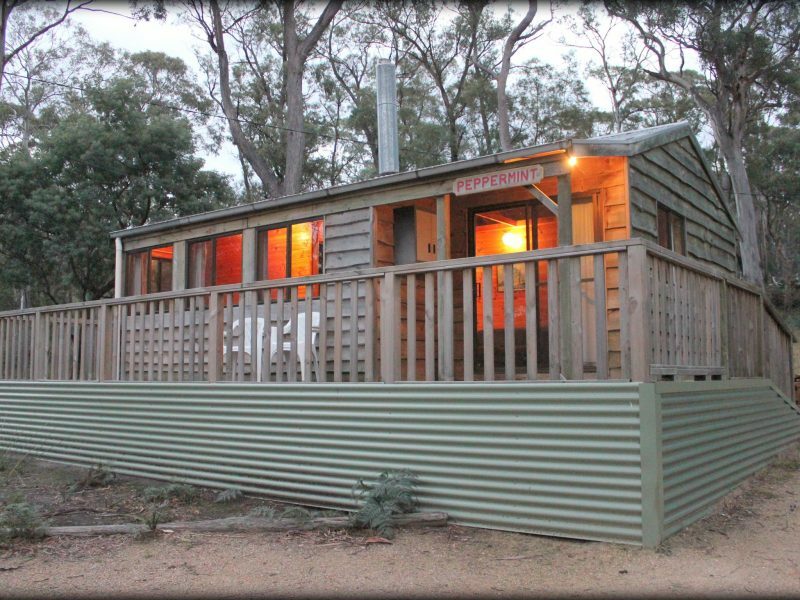 Cabins have open plan living/dining/kitchen, their own verandah, wood heater and barbecue (wood provided). 2 Bedroom Cabin: Bedroom one has a queen bed, bedroom two has one set of bunks (sleeps 2), plus double fold out sofa bed in living area. Large 2 Bedroom Cabin: Bedroom one has a queen bed, bedroom two has two set of bunks (sleeps 4), plus double fold out sofa bed in living area. 3 Bedroom Cabin: Bedroom one has a queen bed, bedroom two has one set of bunks (sleeps 2), bedroom three has two sets of bunks (sleeps 4) plus double fold out sofa bed in living area. Please note bedroom three is accessible by a covered verandah and is not suitable for unaccompained younger children). Group accommodation in either rooms sleeping 2 to 3 in bunks, or dormatories sleeping up to 10 in bunks. Some rooms adjacent. Access to shared amenitites and all on site activities. Limited cooking facilities and access to covered barbecue area.